“During the early 1930s in Chicago, the transcontinental train, Flying Pussyfoot, is starting its legendary journey that will leave a trail of blood all over the country. At the same time in New York, the ambitious scientist Szilard and his unwilling aide Ennis are looking for missing bottles of the immortality elixir. In addition, a war between the mafia groups is getting worse. On board the Advena Avis, in 1711, alchemists are about to learn the price of immortality. So I’m not going to lie at first when I start watching this series I did get a bit confused since there are so many different scenes and characters involved. But it was a very interesting take on a show. Ultimately all the characters come together for the same ultimate reason. 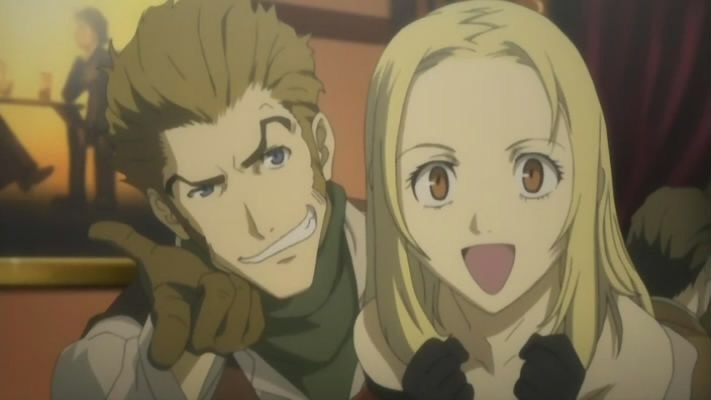 The characters that I definitely enjoyed the most was Issac and Miria. They were really funny and probably the worst thieves that I have seen but that is what made them so great. Also I recommend watching Baccano dubbed and it was dubbed by Funimation. The reason why I recommend that is because there are parts in the series where it takes place in 1930’s New York so hearing those accents and lingo is amazing and really brought it to life. So overall I gave this show an 8/10 mostly because I did get so confused at the beginning with all the different characters and scenes. But if you haven’t seen this show yet you should definitely check it out. If you have then comment down below on what you thought of it. Can’t wait to read your comments! Thank you & I hope you enjoy it. Wow, I haven’t heard of this one: Baccano. After reading your review, I think I’ll give it a try. After I watch it, I’ll come back to let you know what I think. I’m always looking for new anime to watch. Wow, I haven’t heard of this one: Baccano. After reading your review, I think I’ll give it a try. I don’t know if there’s anything else out there that combines magic and the mafia. After I watch it, I’ll come back to let you know what I think. I’m always looking for new anime to watch. You’re welcome. You deserve the award more than me. No you definitely deserve it. Before I forget, the title of the anime baccano is also a password to an forum for the Dollars. Whoa I didn’t know that! Yep, if you want to access the Dollars forum, you need the type baccano in the password. You’re welcome. If you need help, let me know and I will try to help you. Nice review!! 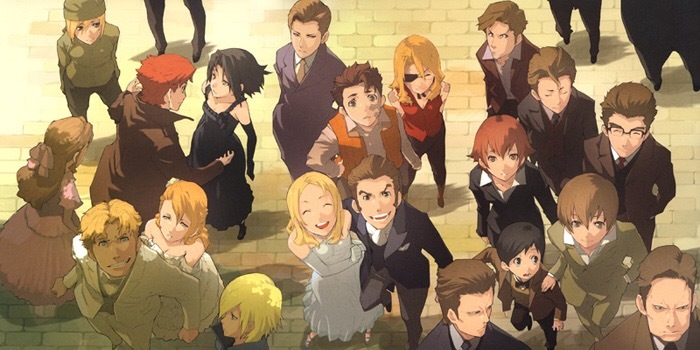 Baccano is one of my all-time favorite anime series!! Bacanno is an amazing anime! I love everything about it; how the storylines intertwine, the romance and the action is awesome. I cosplayed as Nice once and did the burn marks with eyeshadow haha. I like Jacuzzi the best! Who’s your favorite character? Baccano is such a great show! But my favorite character has to be Isaac! He is so funny!! !